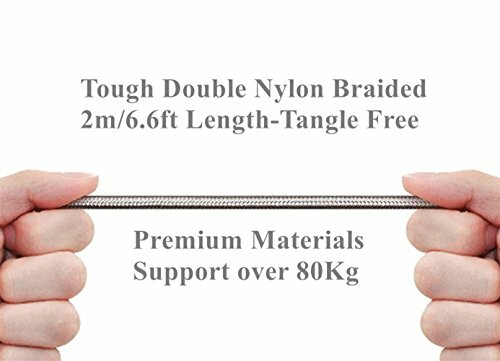 Nylon braided, durable less electrical resistance, tangle free. 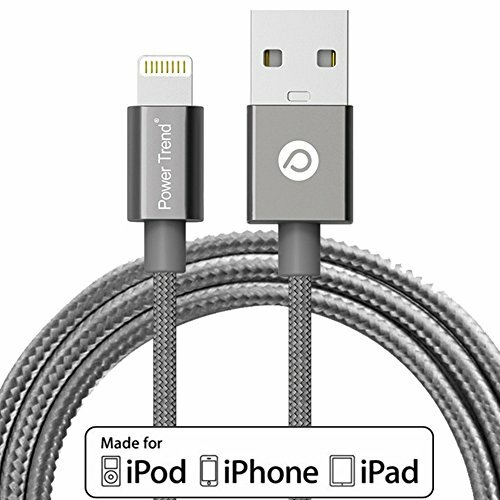 Reversible design, easy plug-in for iOS. 3 colors available(luxury gold / rose gold / space grey ). 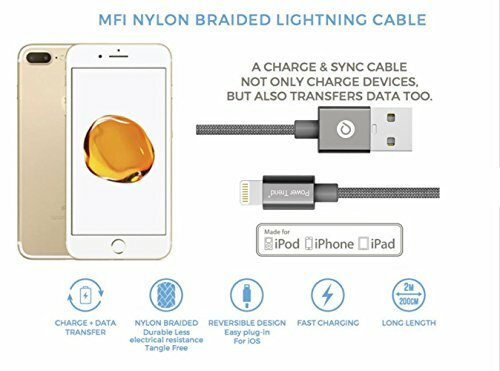 High quality aluminum connector housing & nylon braided. 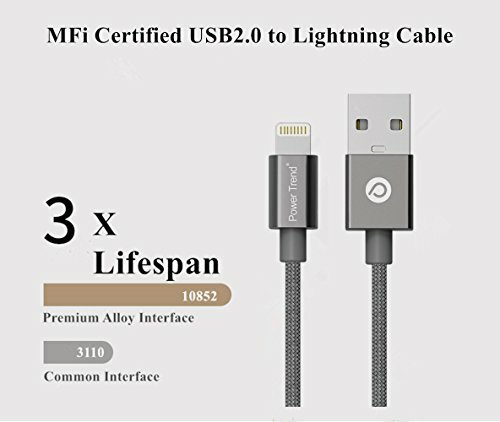 MFI CERTIFIED CHARGE & SYNC CABLE NOT ONLY CHARGE DEVICES, BUT ALSO TRANSFERS DATA TOO. 1.Please note that slight color difference should be acceptable because of the light and screen. 2.Please allow 1-3cm differs due to manual measurement. Thanks for your understanding. 3.If you have any question, please kindly contact us! 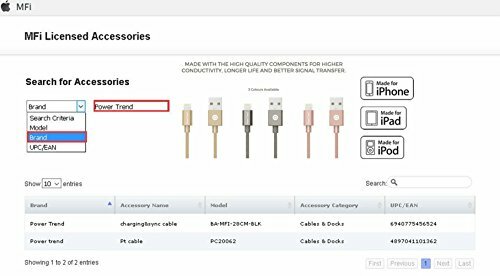 Power Trend, Trend Power Limited are trademarks of Trend Power Limited. 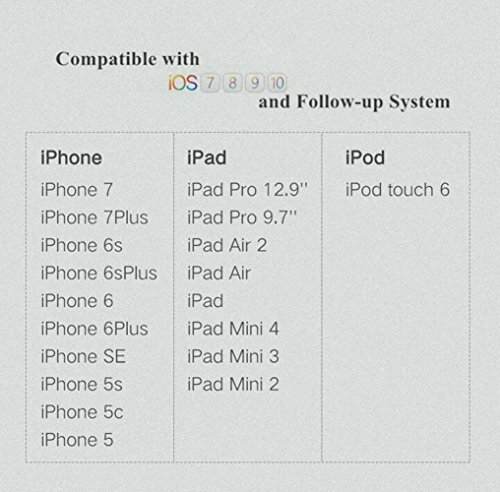 iPad, iPad Air, iPhone, iPod, and iPod touch are trademarks of Apple Inc., registered in the U.S. and other countries. All other brands mentioned are trademarks of their respective owners. 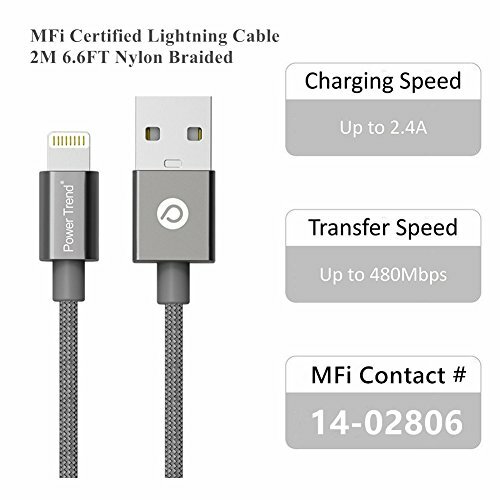 Lightning connector, fast charging with IOS devices. 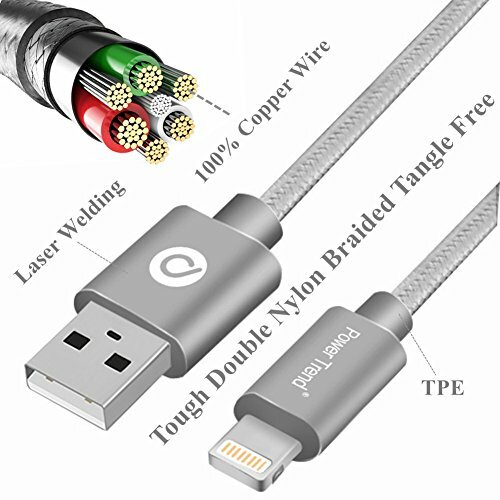 Nylon braided, 2m long length, 3 colors luxury gold / rose gold / space grey. 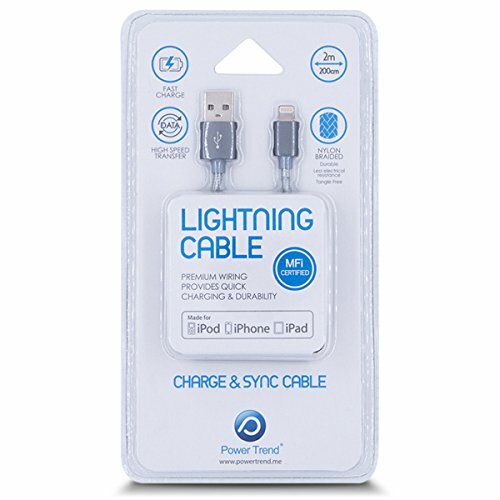 Thickened cable core support 2A up and can charge iPad to 2.35A, support 5V/2.4A.